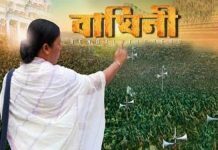 Kolkata: Earlier having made her party and government compel the State Election Commission to cancel the extended deadline for nomination filing for the Panchayat polls, Chief Minister Mamata Banerjee has now welcomed the Calcutta High Court order for a new schedule for nomination filing. “We welcome the High Court’s ruling and hope that the election commission will conduct the polls at the earliest by adhering to the High Court order and the Panchayat Act,” the Chief Minister told reporters before leaving state secretariat Nabanna this evening. Unlike her customary style, she has also ruled out the possibility of her party or the government challenging the HC ruling in a higher court. “We didn’t go to the court because we want peaceful elections on time. Those who are afraid of elections went to court,” the Chief Minister said. 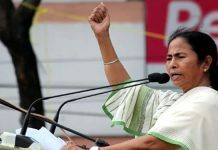 “Now, the elections shall be held at the earliest because as the month of May will progress, the summer will become unbearable, especially in the districts of Birbhum, Midnapore, and Purulia. 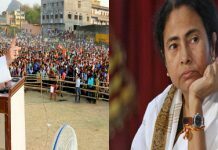 Then there is Ramjan fast that concerns the 30 per cent population of the state,” Banerjee added.